Intermetallic compounds feature a wide variety of interesting properties such as magnetism, superconductivity, shape memory effects, extraordinary mechanical and chemical robustness. Because of that they have found application in magnets, (mirco-)electronics, mechanical parts, as high-temperature structural materials, dental alloys and many more. Looking at the number of metals, it is evident that substantial ranges of metal-rich phase spaces, new compounds, and unknown properties remain to be discovered from around the periodic table. 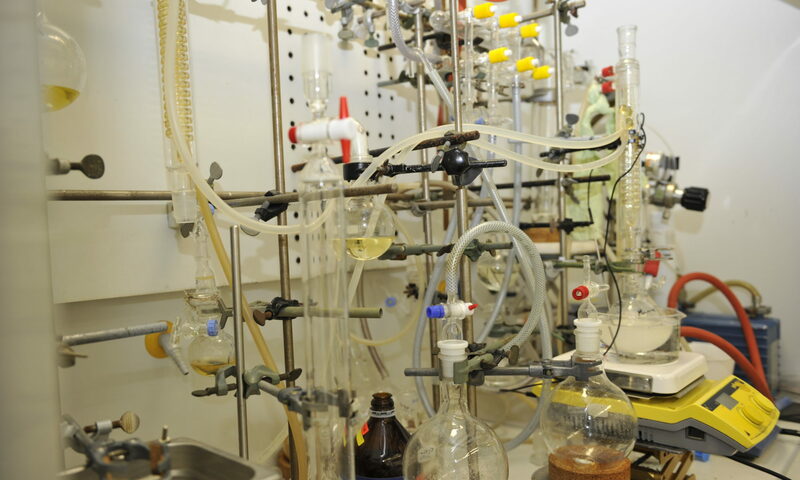 In addition to materials discovery, establishing and understanding structure-property relationships in such phases is critical toward identifying possible technological applications of these materials as well as developing models of thermodynamic stability of and chemical bonding in these complex solids. Intermetallic solids provide new opportunities for exploring both the general as well as the subtle relationships between chemical and electronic structures and physical properties. Important questions that guide our research activities are: What is the relationship between crystal structure, chemical bonding and physical properties of an intermetallic? What is driving the atomic arrangement in complex intermetallic phases? Is it possible to design an intermetallic solid with a given property set in mind? 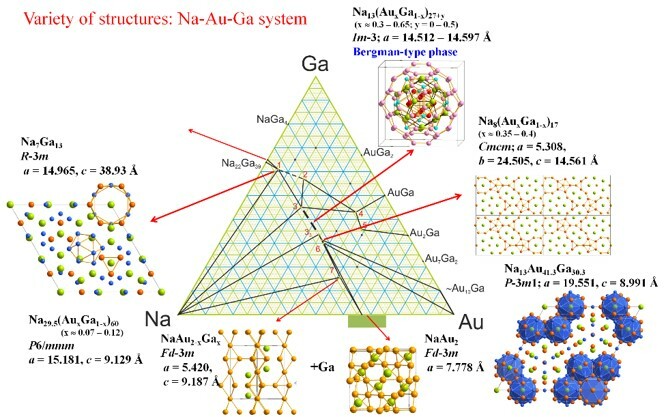 To answer these questions, the Mudring laboratory combines exploratory synthesis, structure determination, and electronic structure calculations synergistically to uncover, and ultimately design, new families of intermetallic phases. This also aids in understanding factors that stabilize both new and known phases.